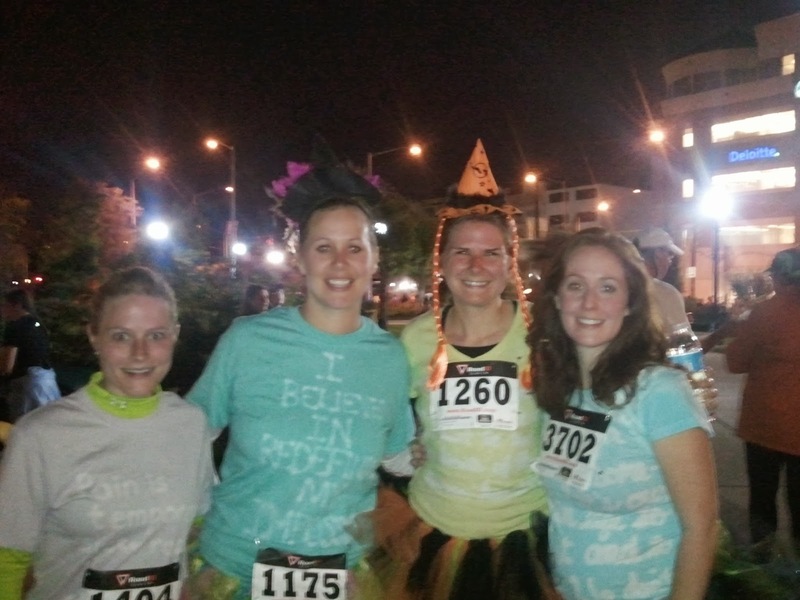 Ghost N Gobblins 5K- 2013 | I Can Run, So I Will! The busiest race I have ran so far! 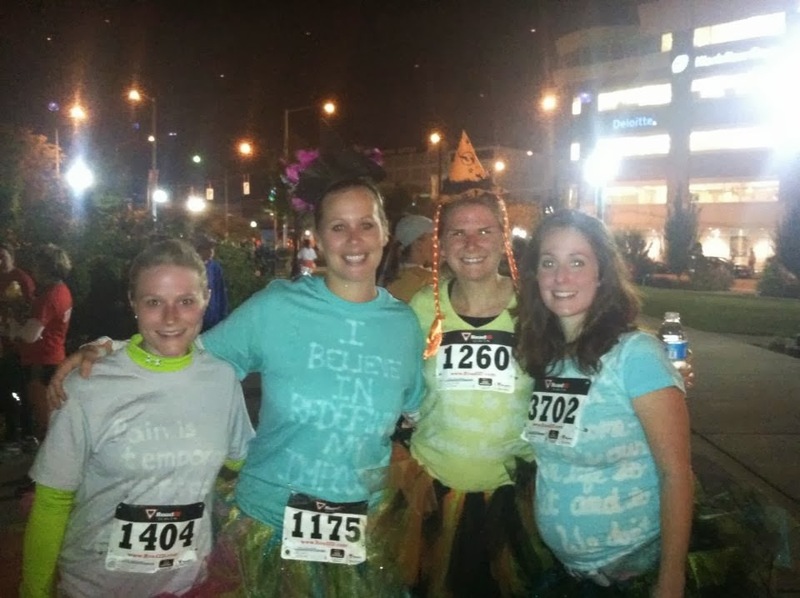 around 4,000 people registered for the Dayton, OH Ghost N Gobblins 5K. What an experience it was! A local group I am part of ran as a group. Things I learned? Get to the starting point a bit early. For the first complete mile it was like trying to run though a club. We had started in the back (what can I say, I had to use the potties and the line was long!) 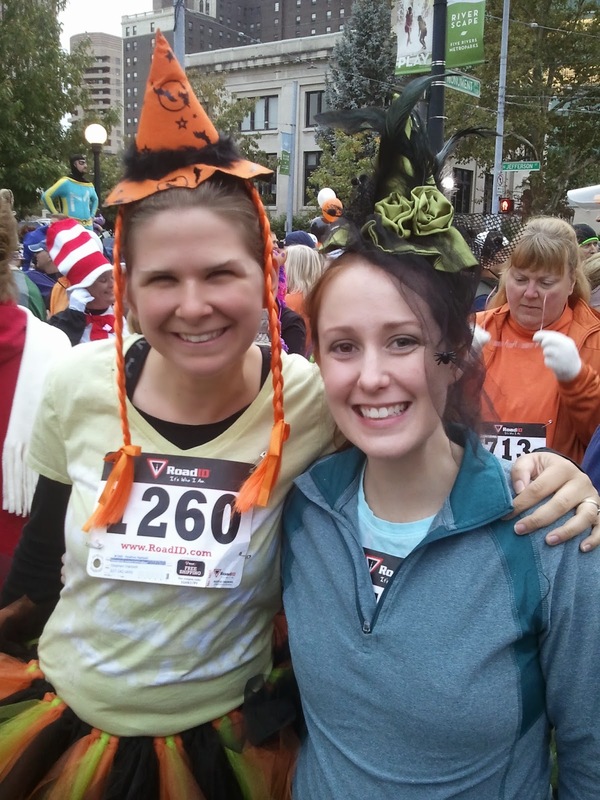 and had a lot of walkers/slow runners to get past- in volumes. I had already planned on taking it easy. Being 23.5 weeks pregnant and not used to running on cement OR in evenings- I knew I would be a little out of my realm. I went to have fun- and you bet I did! And guess what? I didnt do so bad after all!